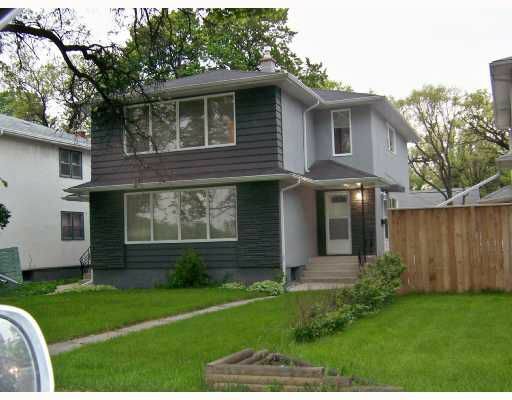 Well maintained up and down duplex with two 1200 square foot suites with separate entrances and separate basement space. The basement is divided with half of the space for each tenant. Each suite has separate furnace, air conditioner, and hydro. The current owners have done many upgrades in their 6 years of ownership and property shows well. Both long term tenants gave notice for the same time (May 31) so a new owner can live in one suite and have a tenant in the other pay off their mortgage. Or treat it as a pure investment property and lease up both suites.Both suites have remodelled kitchens with newer appliances, and one suite has a finished rec room with berbur carpet.Market rents should be a minimum of $1000 per month per suite. NOTE: showings start on Thursday June 5th with offers on Tuesday June 10th. OPEN HOUSE ON SUNDAY JUNE 8TH FROM 2 TO 4 PM.